When Kaiser Northern California found they wanted a down-time solution for patient admittance, they turned to AMT Datasouth (AMT). 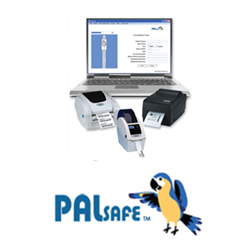 At that time AMT’s PalSafe® was in the beta test state and Kaiser agreed to test it. After many improvements and refinements, Kaiser now has the down-time solution they sought, and AMT has a robust, feature rich down-time PalSafe product available for general use. For more information please contact AMT (www.AMTDatasouth.com) or an authorized reseller.